Four great princes – Henry VIII of England, Francis I of France, Charles V of Spain and Suleiman the Magnificent – were born within a single decade. 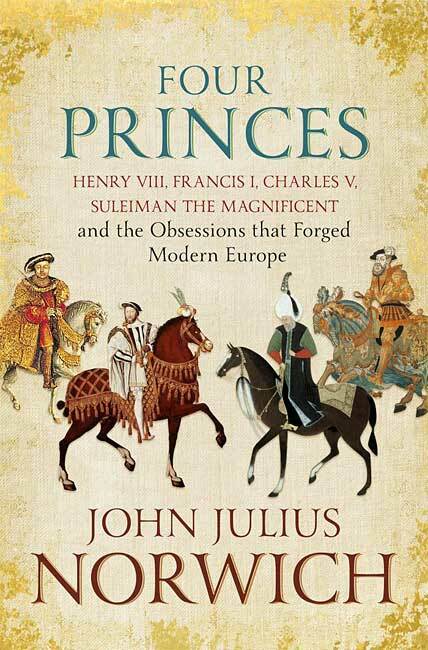 Each looms large in his country’s history and, in this book, John Julius Norwich broadens the scope and shows how, against the rich background of the Renaissance and destruction of the Reformation, their wary obsession with one another laid the foundations for modern Europe. Individually, each man could hardly have been more different ­– from the scandals of Henry’s six wives to Charles’s monasticism – but, together, they dominated the world stage. From the Field of the Cloth of Gold, a pageant of jousting, feasting and general carousing so lavish that it nearly bankrupted both France and England, to Suleiman’s celebratory pyramid of 2,000 human heads (including those of seven Hungarian bishops) after the battle of Mohács; from Anne Boleyn’s six-fingered hand (a potential sign of witchcraft) that had the pious nervously crossing themselves to the real story of the Maltese falcon, Four Princes is history at its vivid, entertaining best. 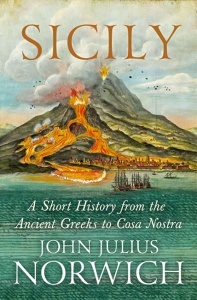 With a cast list that extends from Leonardo da Vinci to Barbarossa, and from Joanna the Mad to le roi grand-nez, John Julius Norwich offers the perfect guide to the most colourful century the world has ever known and brings the past to unforgettable life. 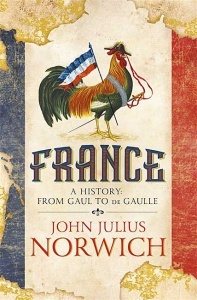 Wonderful… This was indeed a glorious age and Norwich has made a brilliant decision to study four idiosyncratic rulers as an interacting quartet rather than separately… A lively and charming book. With characteristic deftness of touch, Norwich brings each character vividly to life and skilfully weaves their stories together… Norwich introduces a dazzling cast of characters: from Leonardo da Vinci to Martin Luther, Joanna the Mad to Anne Boleyn… the portrayal feels entirely fresh and enables the reader to gain new insights into some of history’s most familiar characters. It is a genuinely inspired idea for a book, and Norwich executes it with typical aplomb. Packed with extraordinary figures – not just the four princes, but artists and emperors too… a warm, witty and fascinating look at how such dynamic individuals shaped the Renaissance and the Reformation right across Europe throughout the sixteenth century. 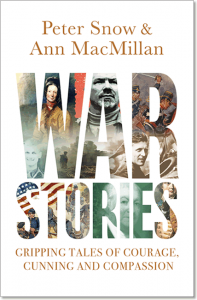 The main body of the book is 267 pages, which includes two 8-page sections of colour illustrations.